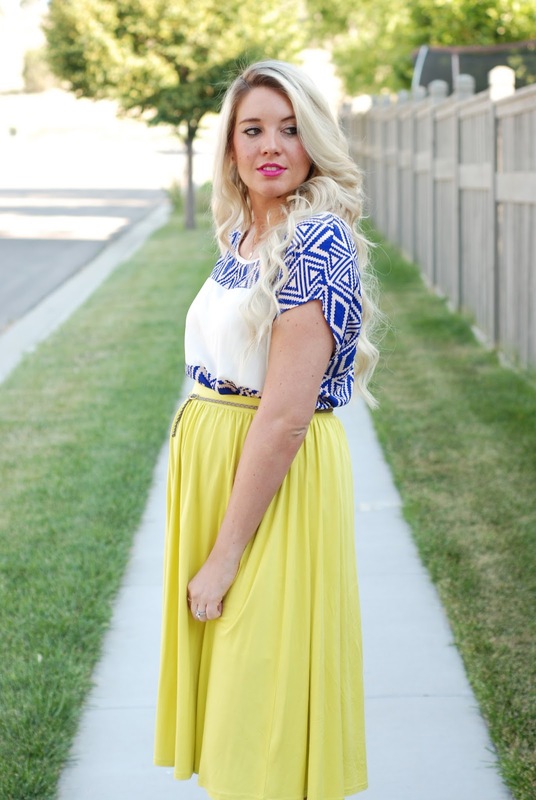 NEON SKIRT & BLUE ACCENTS + #WIWT LINK UP! Thanks for stopping by today!! This summer it's going to be all dresses and skirts. This skirt although a little older, has been worn quite a few times! There are some pieces in my closet I will never get rid of and this is one of them! Has anyone purchased shoes from Forever Young Shoes? It is one of my favorite places. I scored these heels and got another pair for free so naturally I got the same pair of shoes in another color. ;) I have yet to wear them, but i'm excited to pair them with something fun! It's link up time! This week my pick is We Shop In Heels! This photo is stunning from the amazing dress, those gladiator style sandals and her gorgeous hair! Loving your summer style girl!! 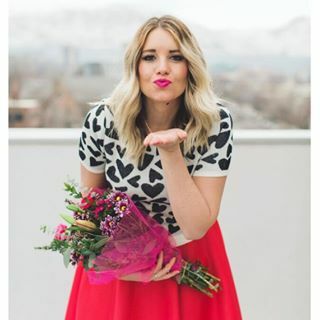 Now come link up with me and Ashley from Twenties Girl Style!